Bang Saray, Thailand at the Excel! 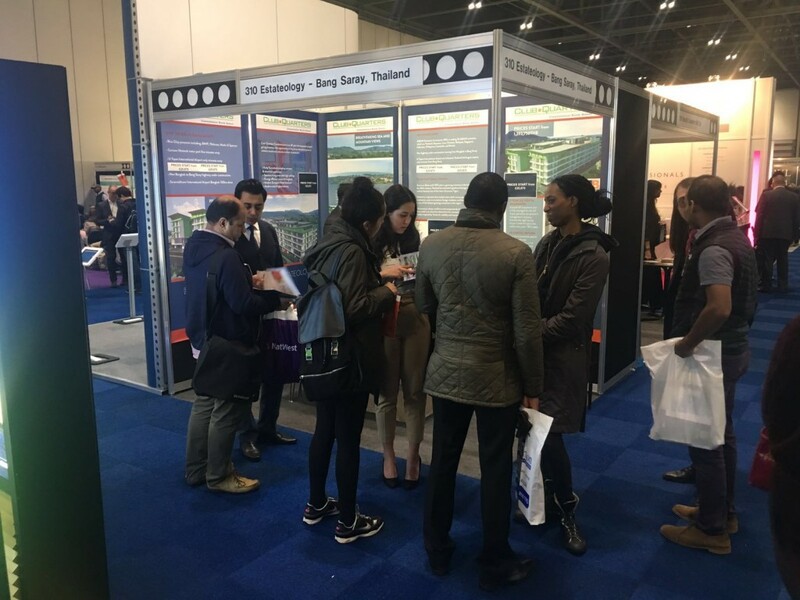 Our first exhibition at The property Investor & Homebuyer Show at the Excel in London was a huge success! Launching the amazing Club Quarters development in Bang Saray, Thailand, the two days provided us with a great opportunity to sell the development, get the Estateology name out, and connect with like-minded people. To our amazement we were kept on our feet for the whole two days as we were flooded with interest in this amazing development. Offering the best return of any investment at the show (10% over five years), for as little as £25,000 for a studio apartment, it was little wonder why so many people were interested! Bang Saray is one of the fastest growth areas in Thailand. With the likes of M&S and Tesco already present, and many more well known brands arriving soon, it is obvious why people are investing in the area. Offering flexible purchase options, Club Quarters is a fantastic development, which is a totally hands-off investment, comes fully furnished, guarantees you a 10% return over five years, and gives you the option to stay at your apartment for up to two weeks a year! With offers still to be had, please take a look at our brochure and price list. You can also watch a video of the development. If you prefer to speak to us, we would be more than happy to talk, please give us a call on 0203 422 2333!